From all of our hearts to yours, Happy New Year! 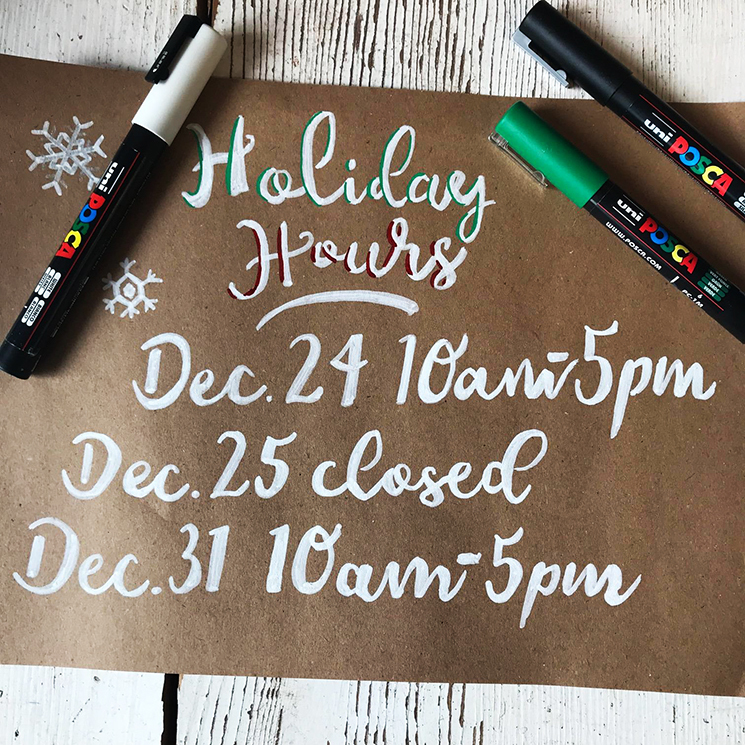 Last - Minute Gifts and Holiday Hours! If you waited until the last minute to go shopping this holiday season, don't fret! 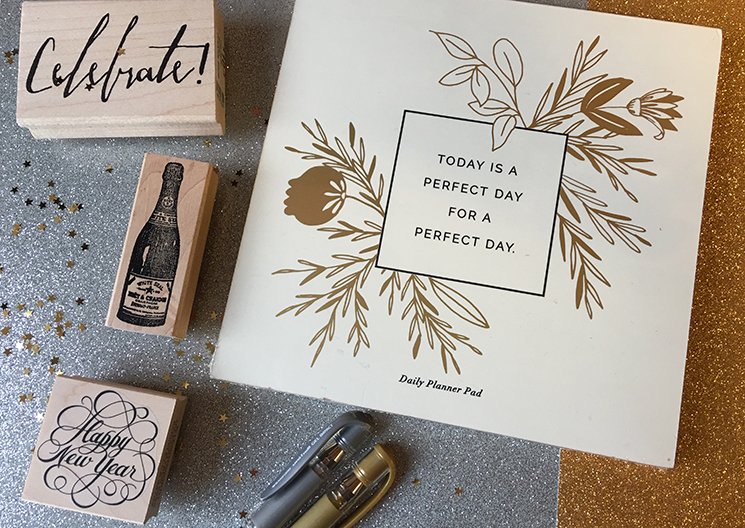 We've got you covered with fabulous gifts. 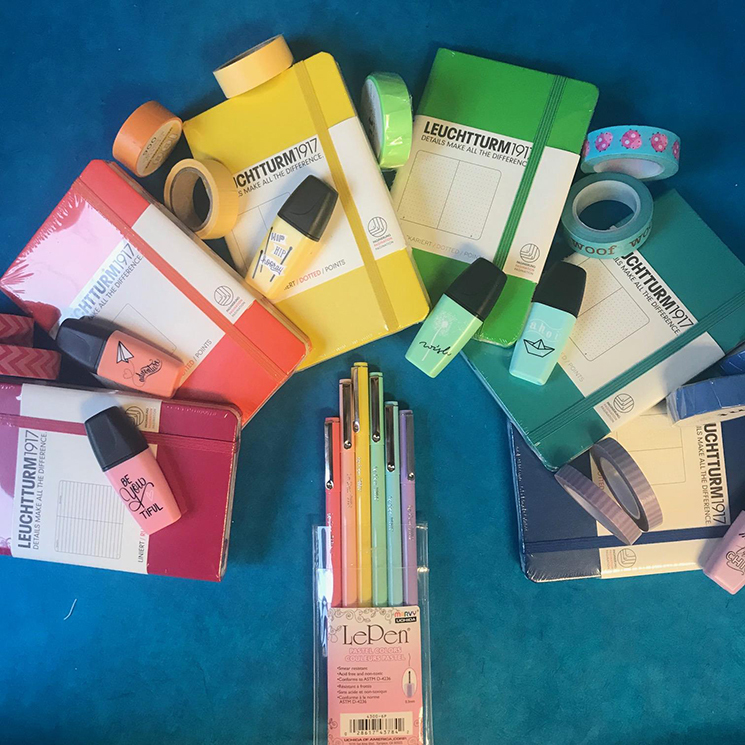 Stuff their stockings with tiny journals, washi tape, pen sets, and highlighters! Brush lettering is SO HOT and super fun to get into. 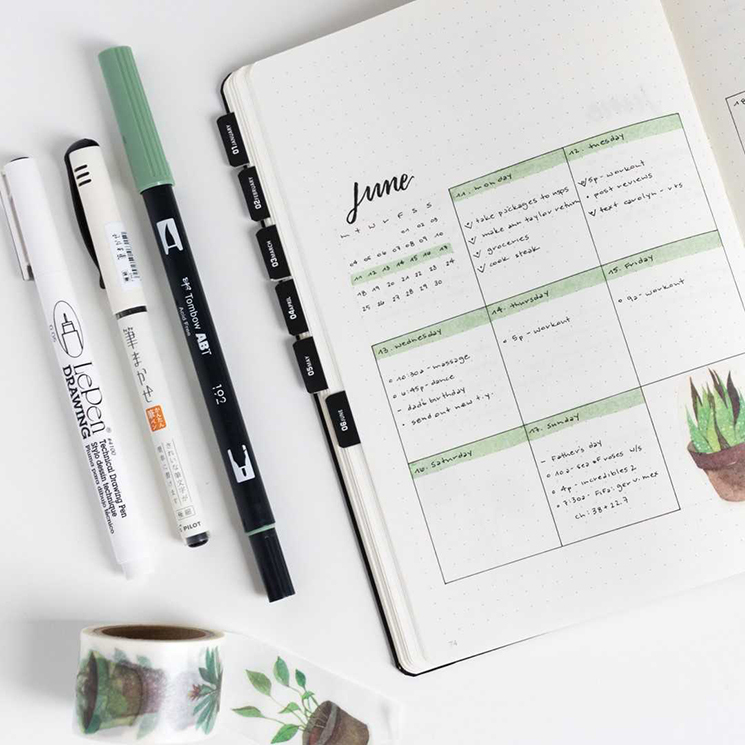 Our how-to books and pen sets give you everything you need to get going! Shopping for kiddos? 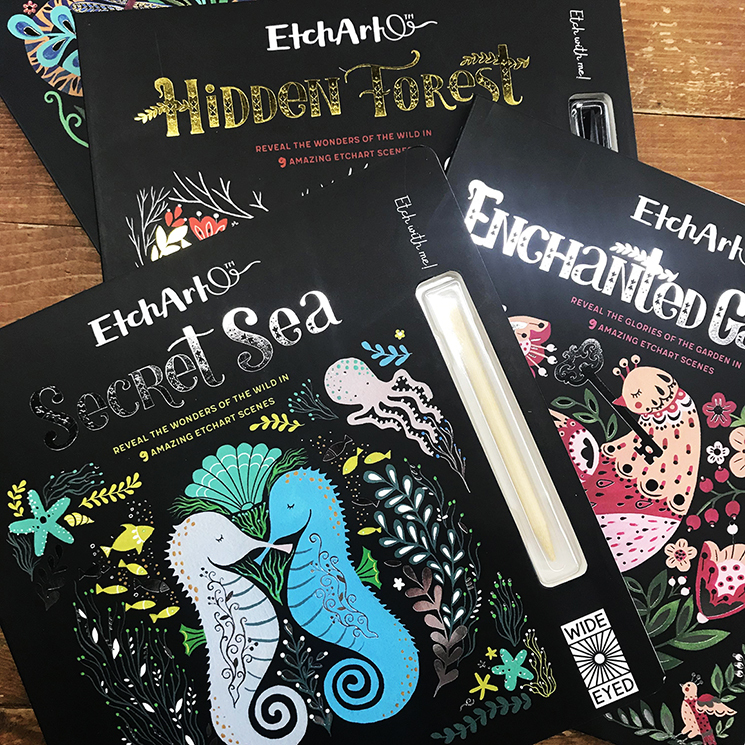 We have been obsessed with these color - in posters! 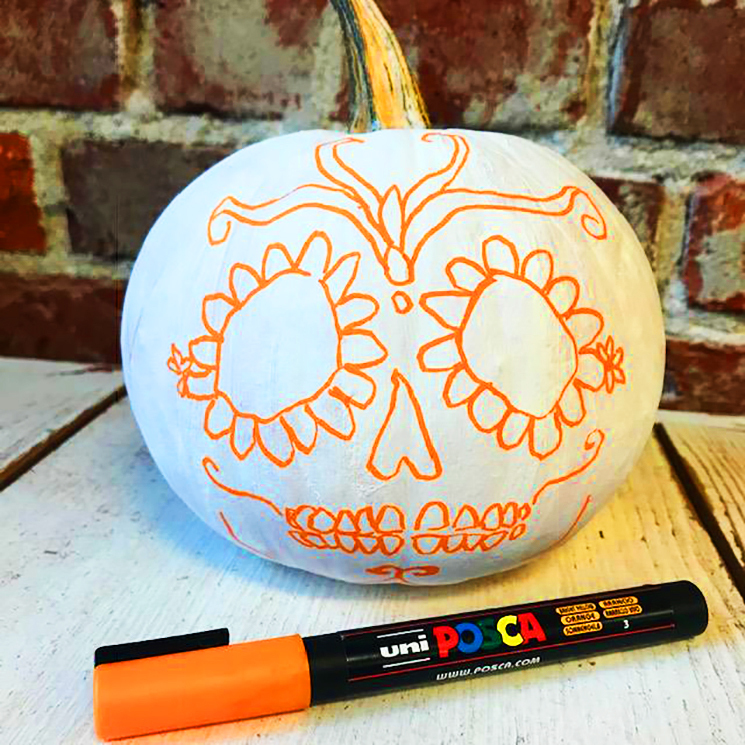 Our favorite Posca paint markers come in sets that make the perfect gift. 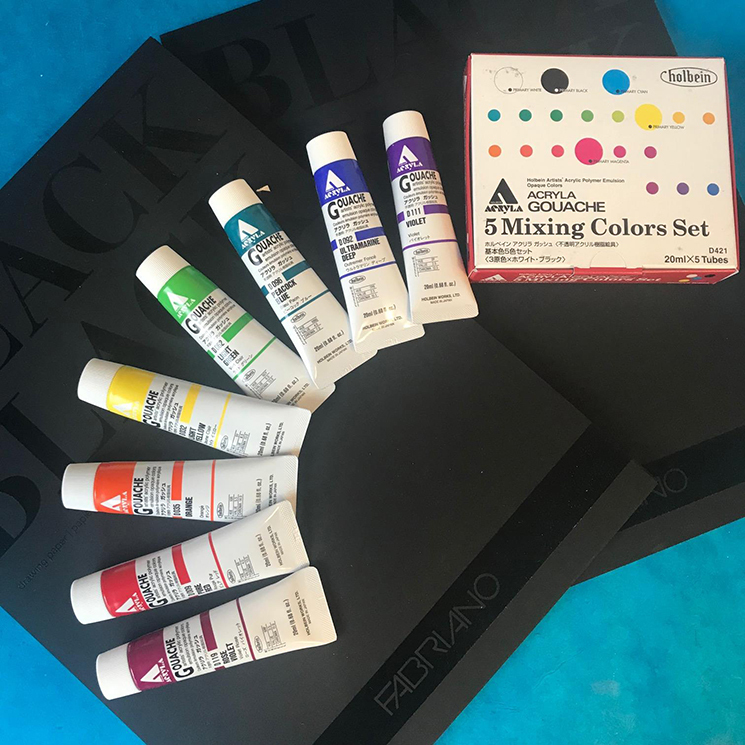 Try them on the fabulous Fabriano Black Black and White White paper pads. 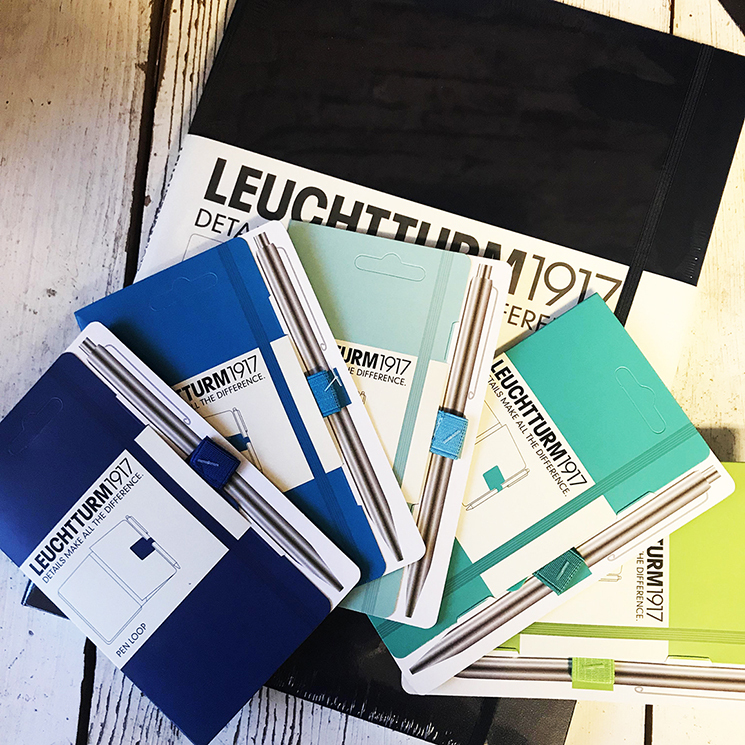 Do you know an avid travel sketcher? 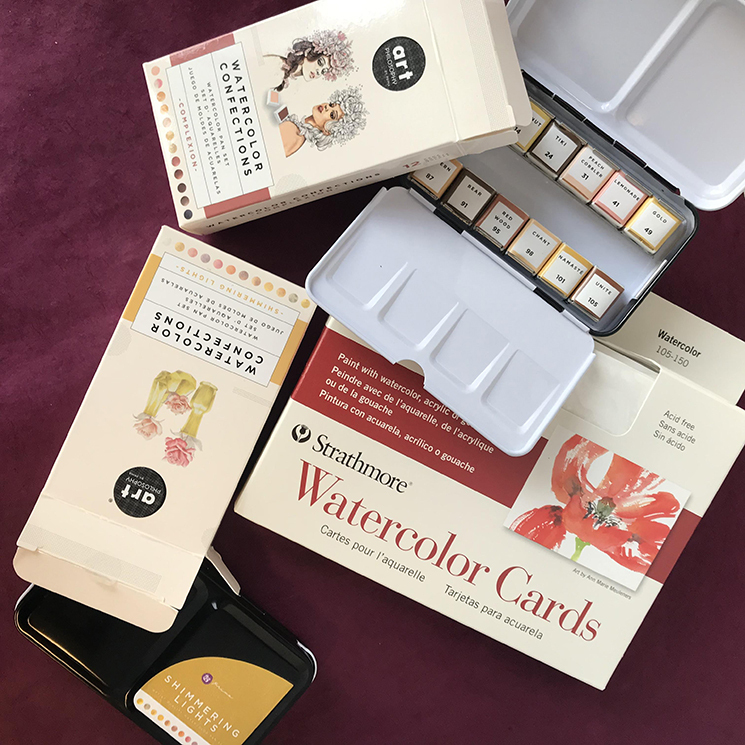 Treat them right this holiday with fabulous travel sets of watercolor and watercolor card sets to create with! 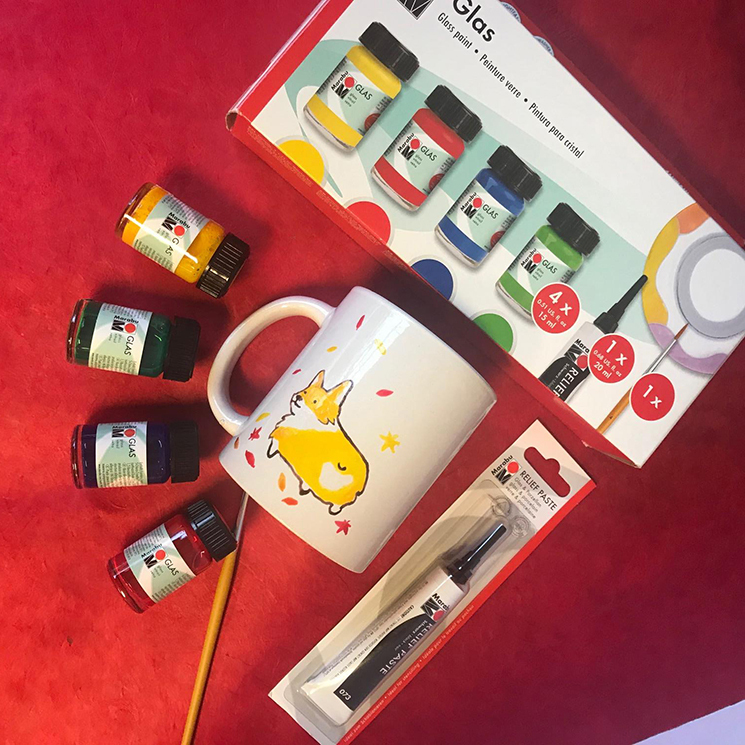 Acryla gouache makes a great gift, and comes in fabulous sets! 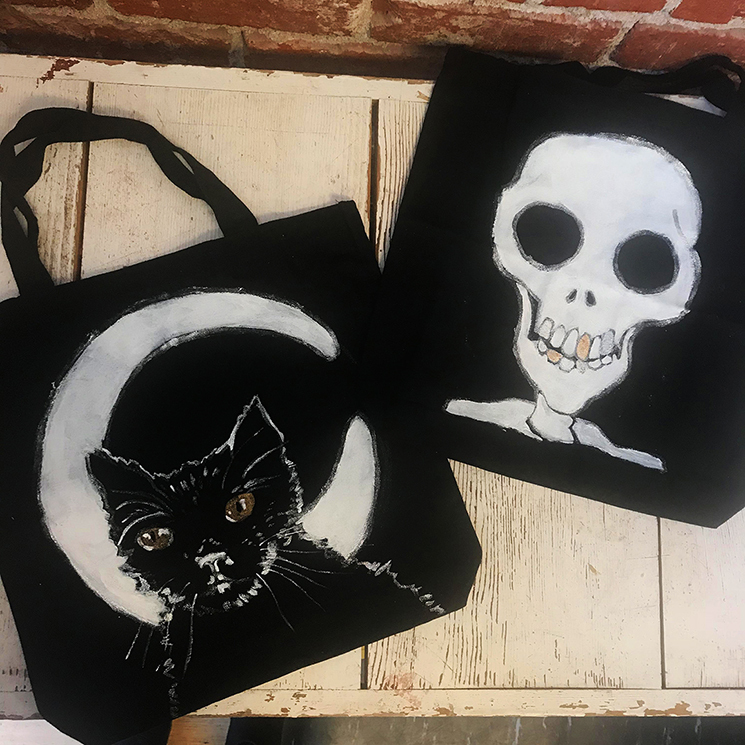 We love pairing it with black paper for some ethereal goodness. 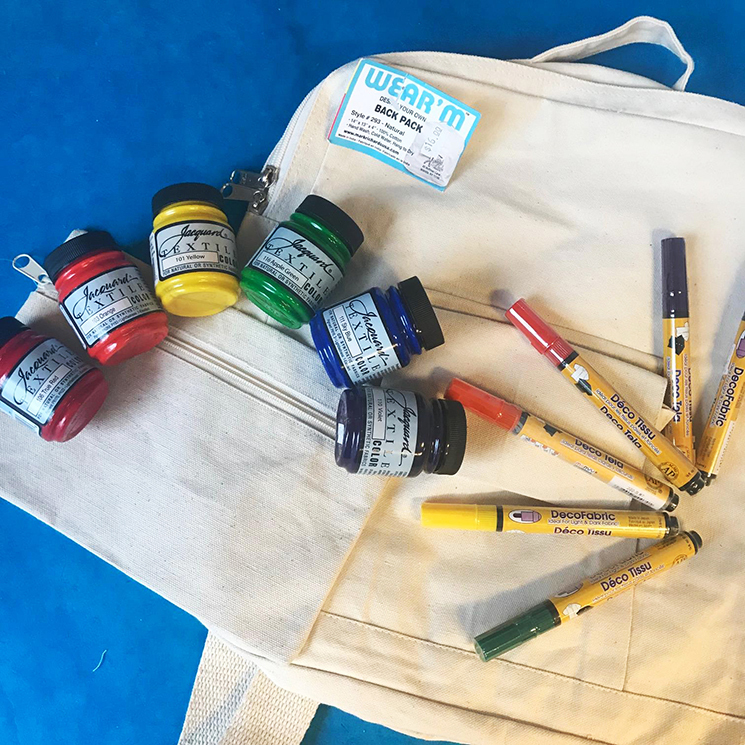 Give them the gift of a creative holiday break with blank bags and paints and pens to make them truly unique! 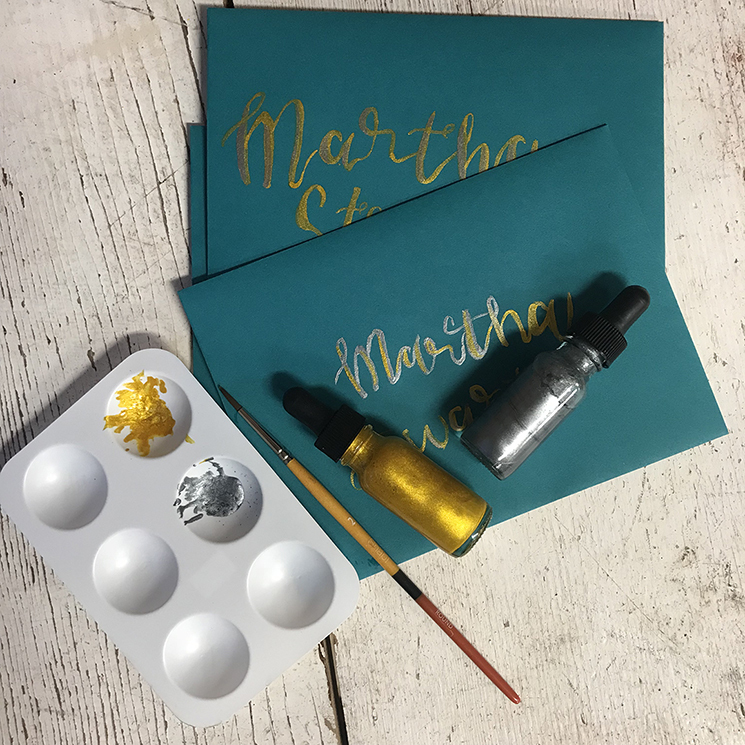 Our glass painting kits are super fun for every age! All of our stores will be open limited hours for the holidays. We will close early, at 5pm, on December 24 and December 31. Our stores will be closed on December 25! 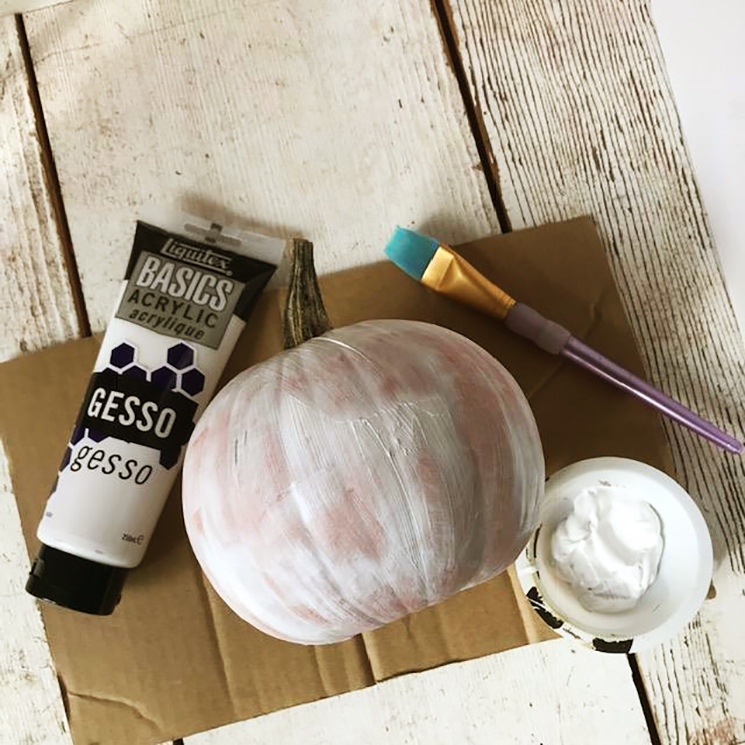 This easy DIY utilizes the falling leaves around us, and is a great creative project to make with kids! 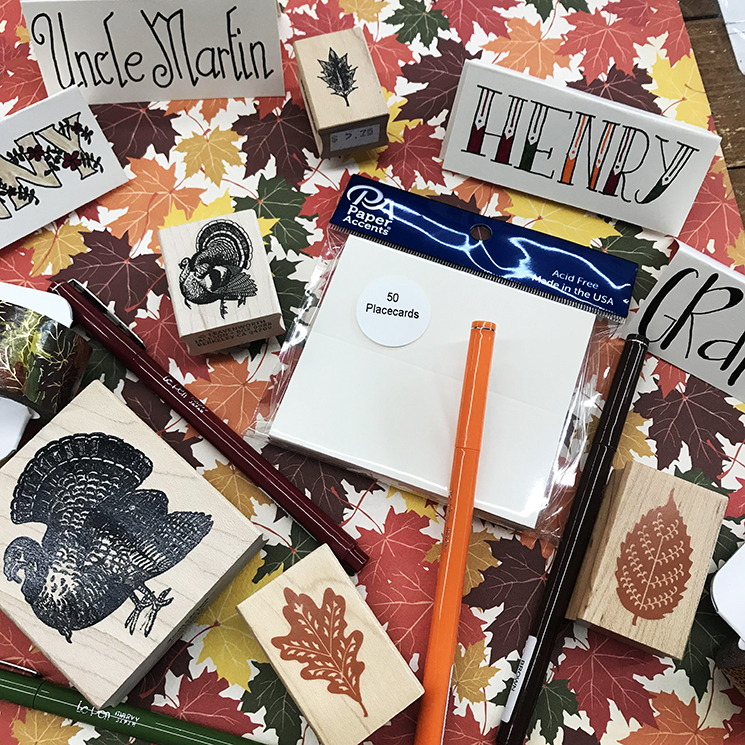 All supplies available at collage, except leaves! Open clay and flatten out to about 1/4" thick. press leaves into clay to create an impression. 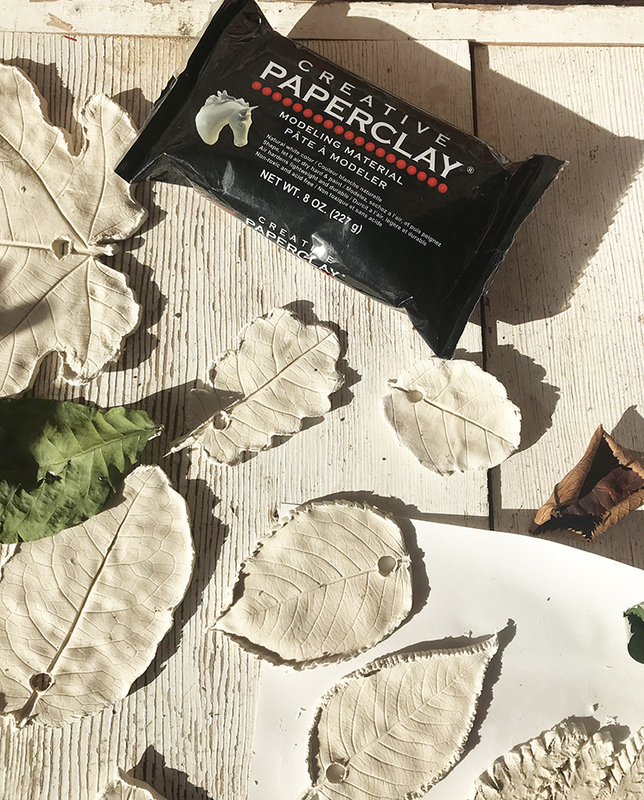 Use x-acto knife to cut around the leaves. 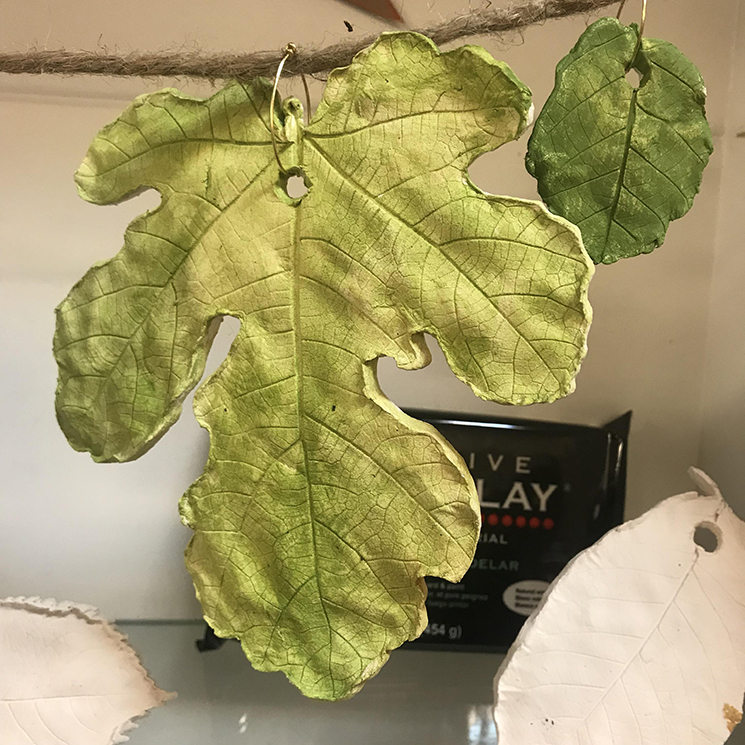 Remove leaves and cut out a circle where you'd like to make a hanger. Allow to dry 24-48 hours. 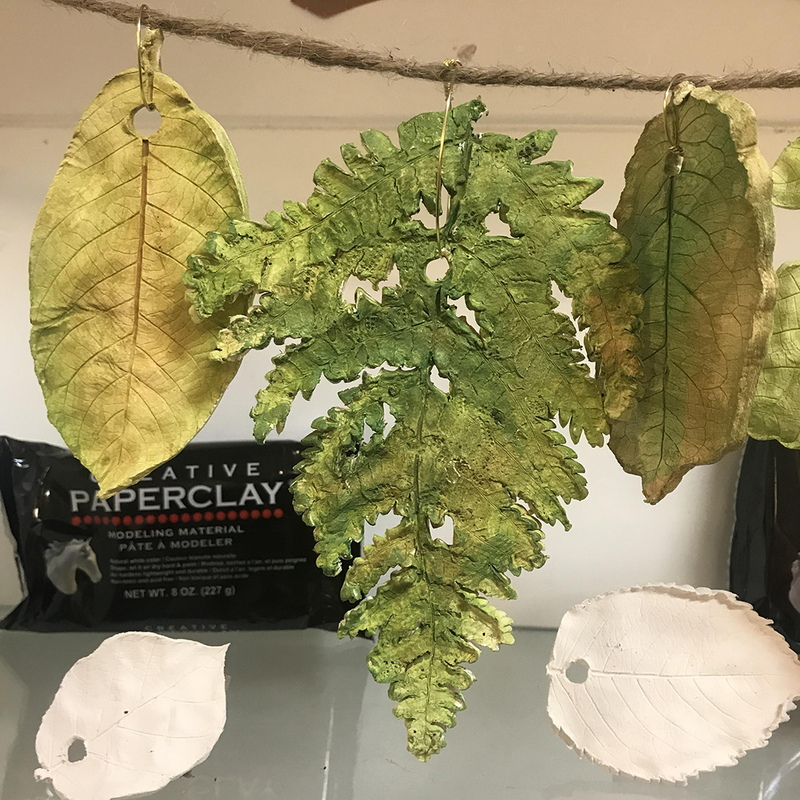 Paint leaves with diluted acrylic paint (dilute with water, as shown above, or with acrylic medium). 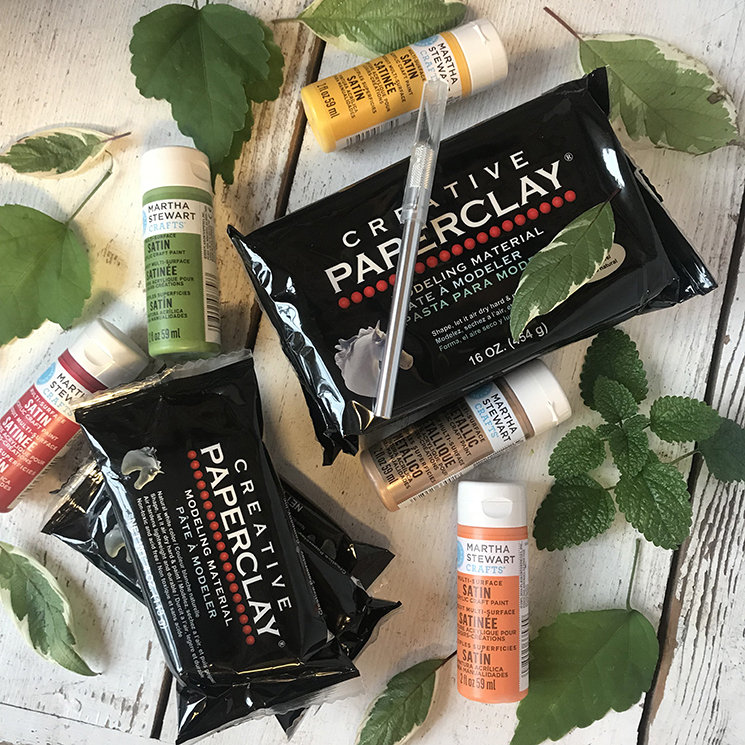 Paint as many washes as you need to create the desired effect. Let dry completely. When the paint is dry, use wire to hang your masterpiece! Thanksgiving is in less than two weeks! 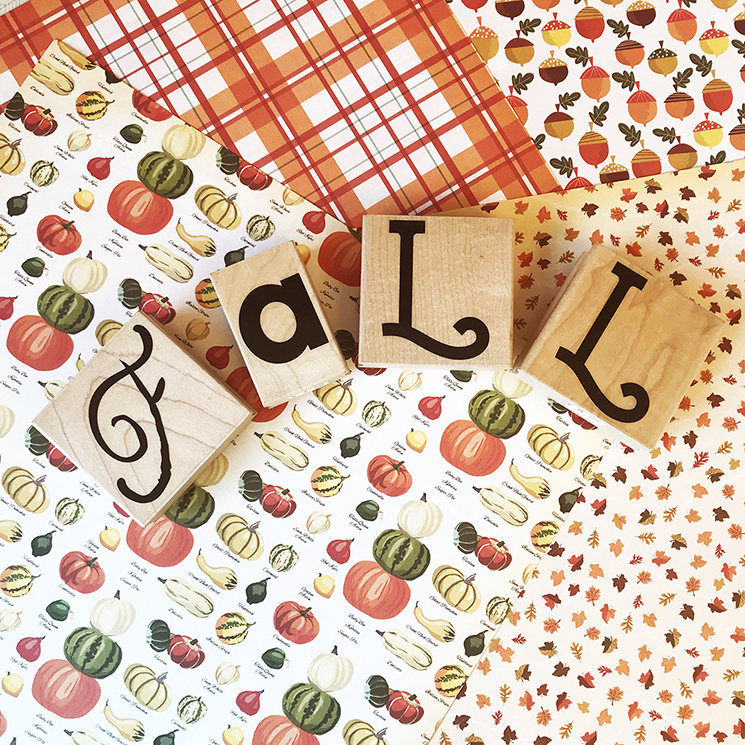 Decorating our table can be such a fun project, especially for the kiddos. 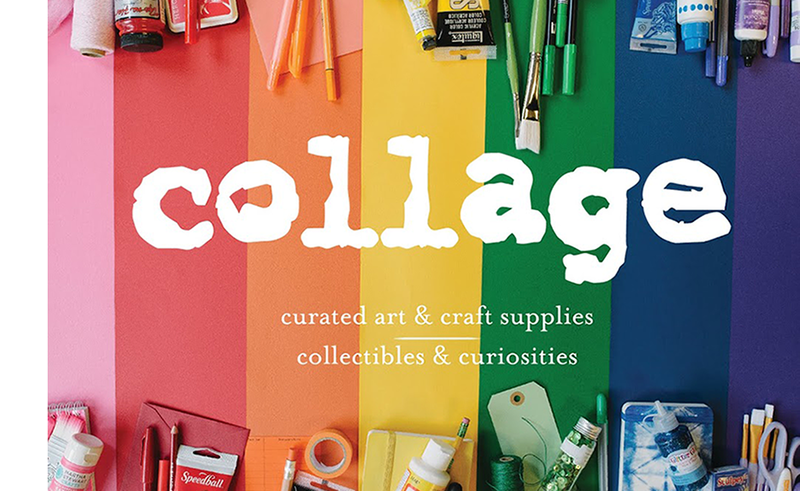 You can find all sorts of things to make an extra cosy and special table this year at collage! 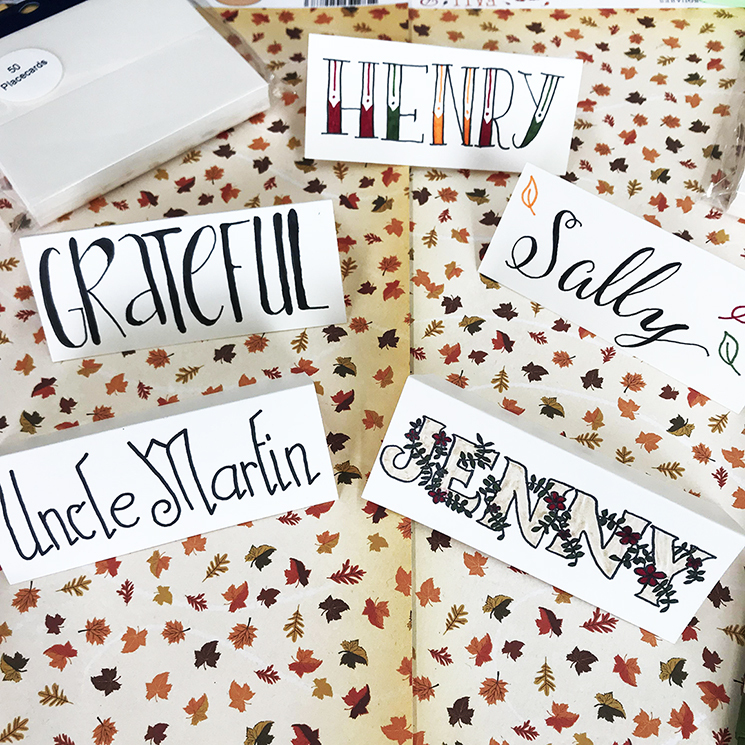 Blank place cards are a great jumping off point for making a special place at the table for everyone. 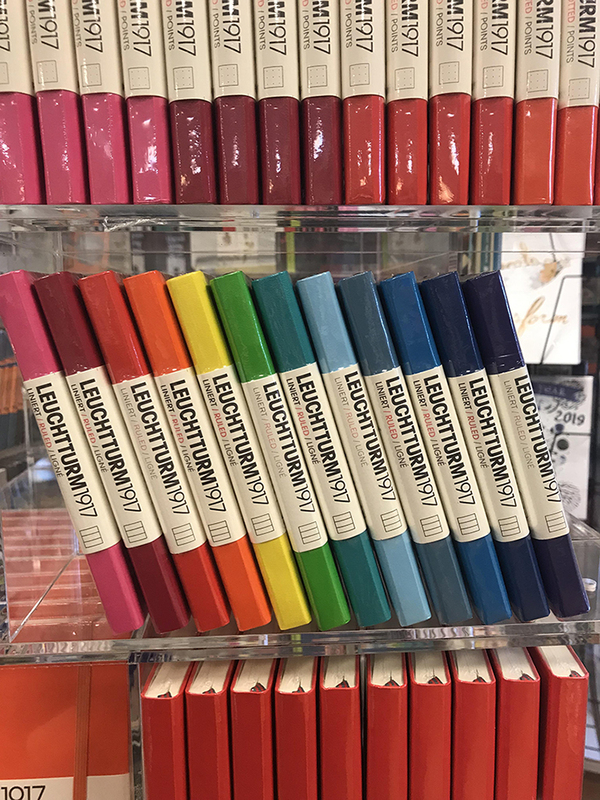 We have tons of holiday stamps, paper, and colorful pens (we love the LePen) for decorating! 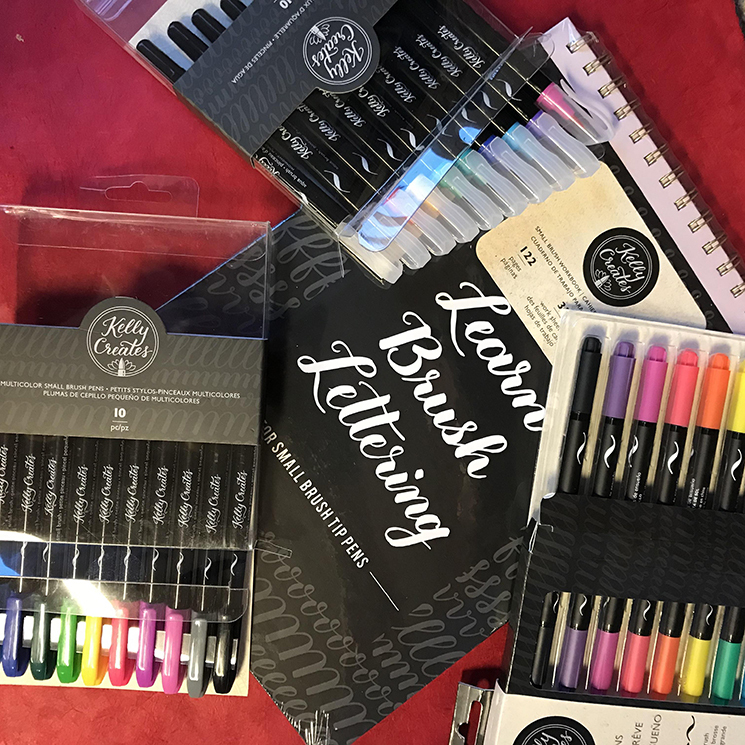 For those who love to practice hand-lettering, a few fancy pens are all you need. 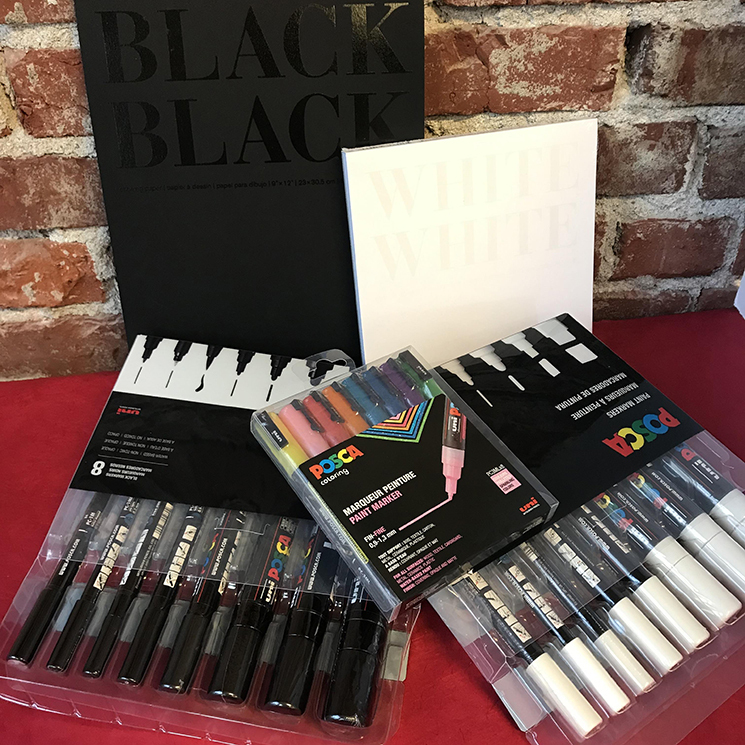 Delve into colors, brush pens, and fancy metallic pens in our fabulous pen section! We also carry letter stamps and clearstamp sets to make uniform personalized placecards. 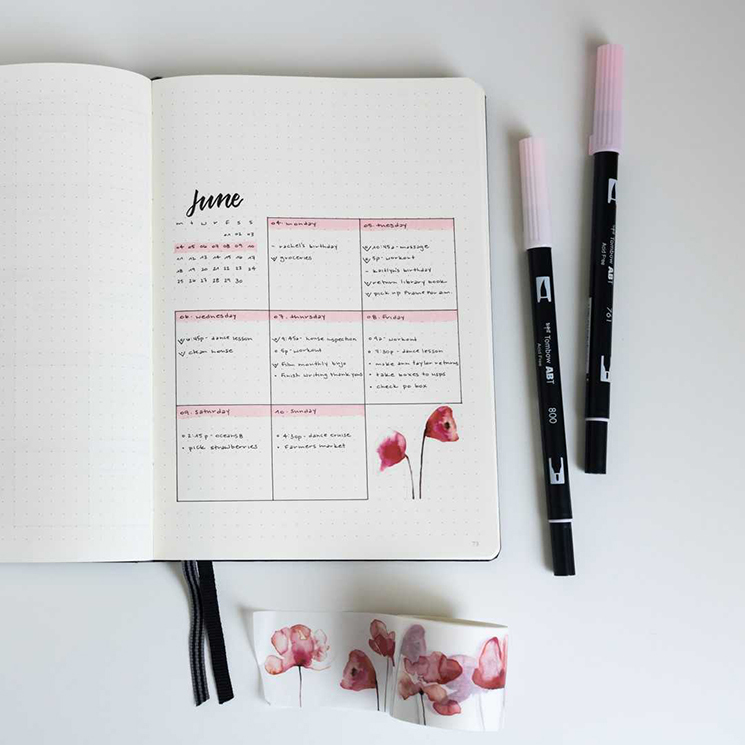 Don't forget washi tape! 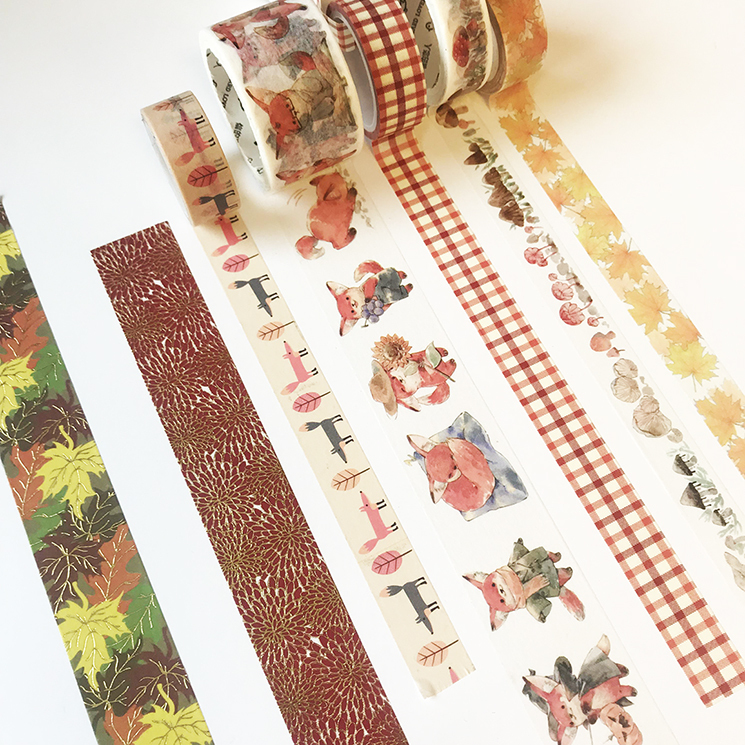 We have some adorable autumnal tapes in our supply stores that make decorating a breeze. 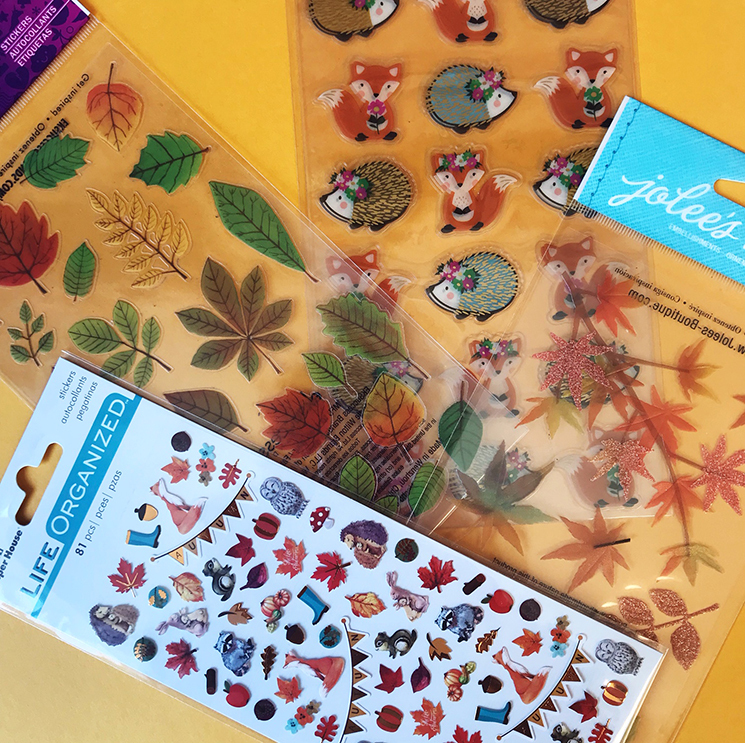 We have some adorable autumn stickers for decoration as well! 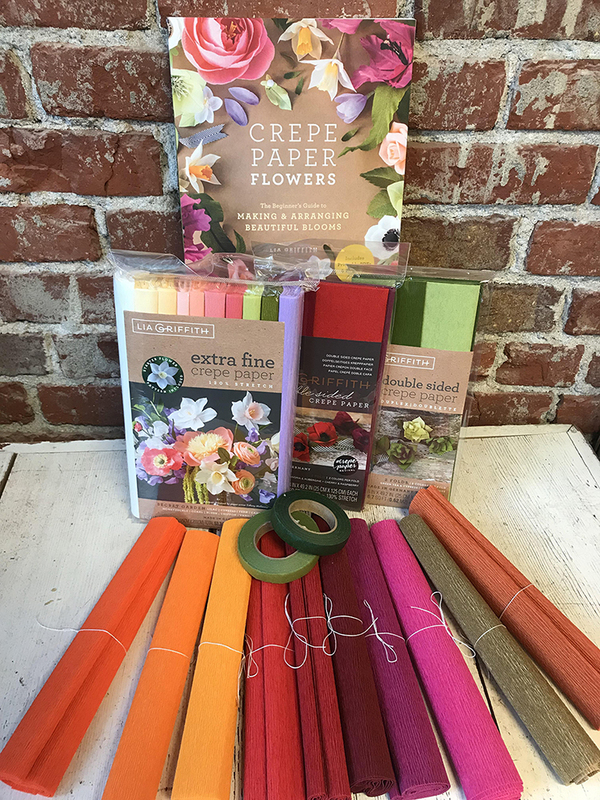 Stop on into one of our supply stores to check them out. 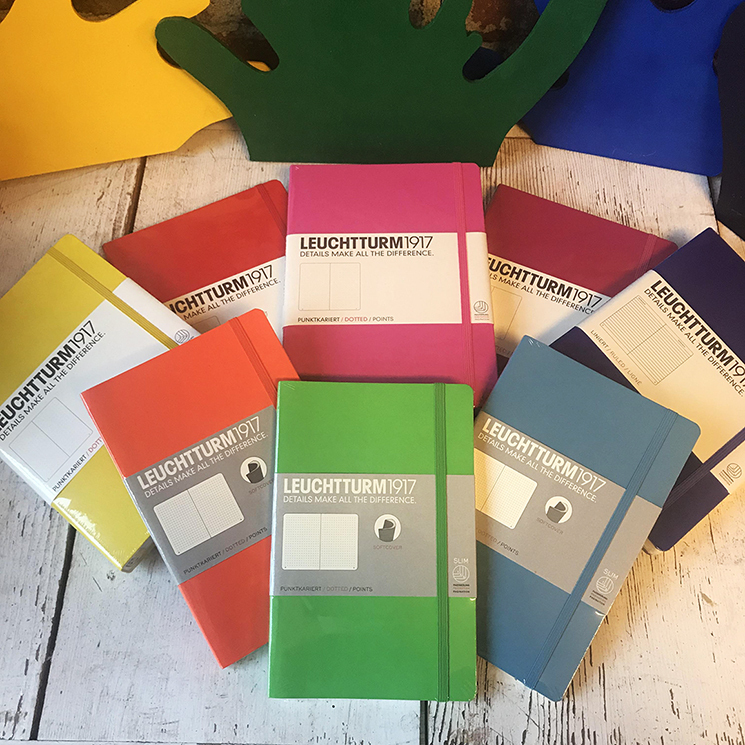 Product Feature: NEW how-to and project books! 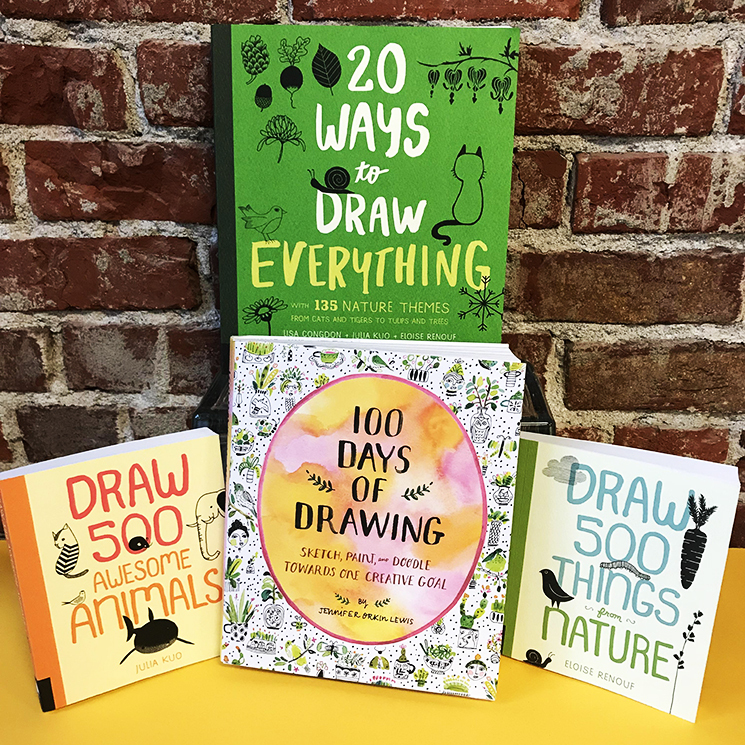 Our supply stores are chock full of brand new how-to books on cute crafts, drawing how-tos, and activities! 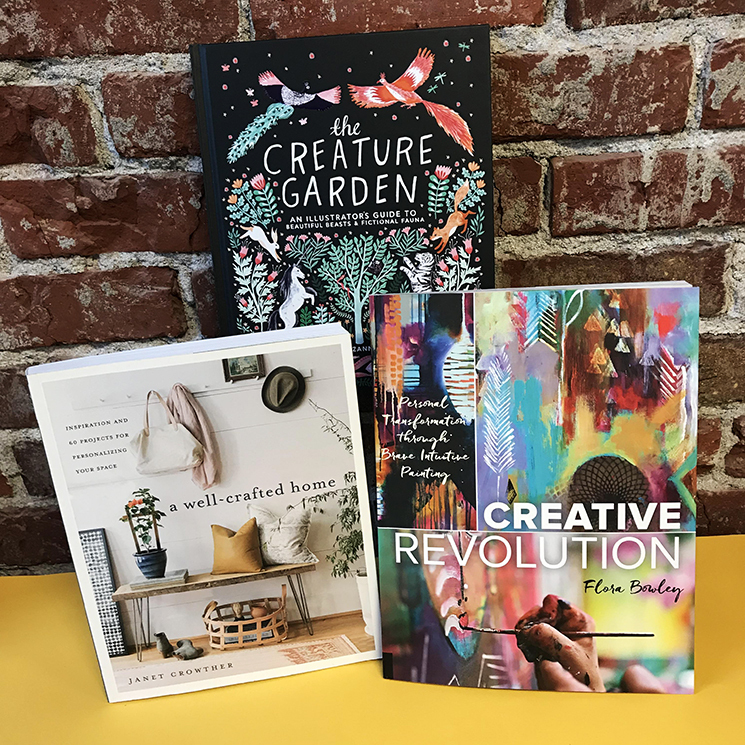 Check out these inspirational books on illustration, intuitive painting, and projects for your home. Inktober is over, and we want to keep drawing! 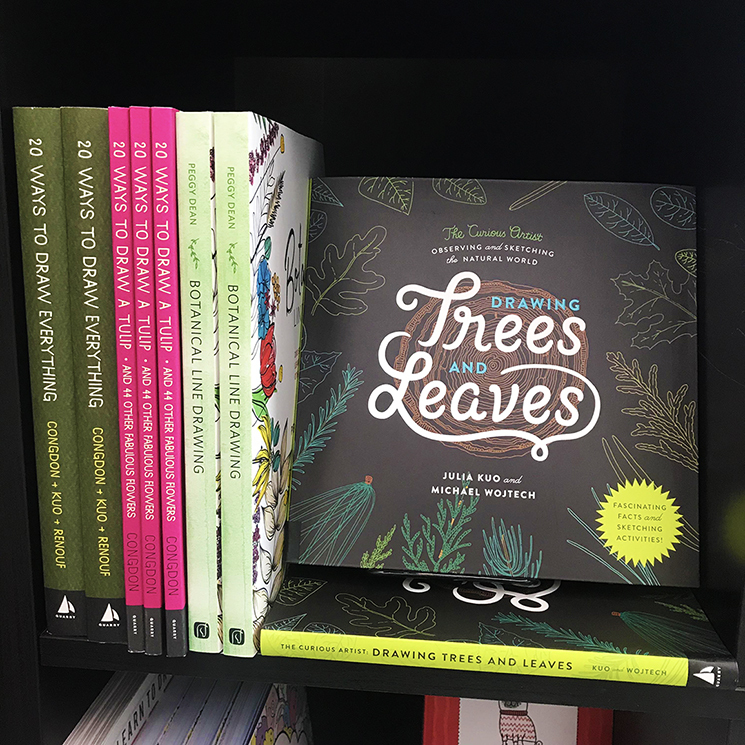 We love these drawing how-to books. 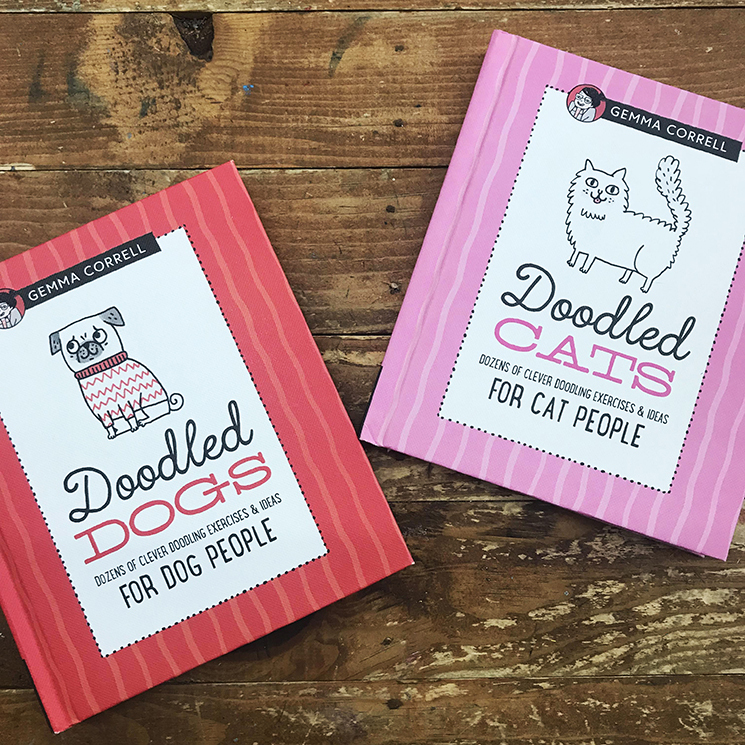 One of our favorite artists, Gemma Correll, has some fun new books out on how to draw our favorite fur friends! 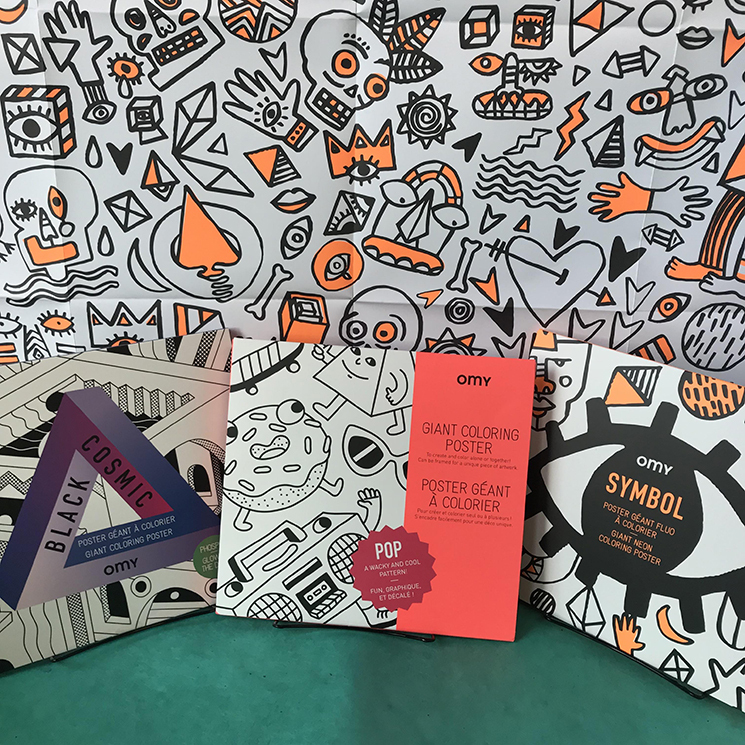 kSome of our favorite activity books for relaxation on long road trips or whenever are these beautiful scratch off activity books! 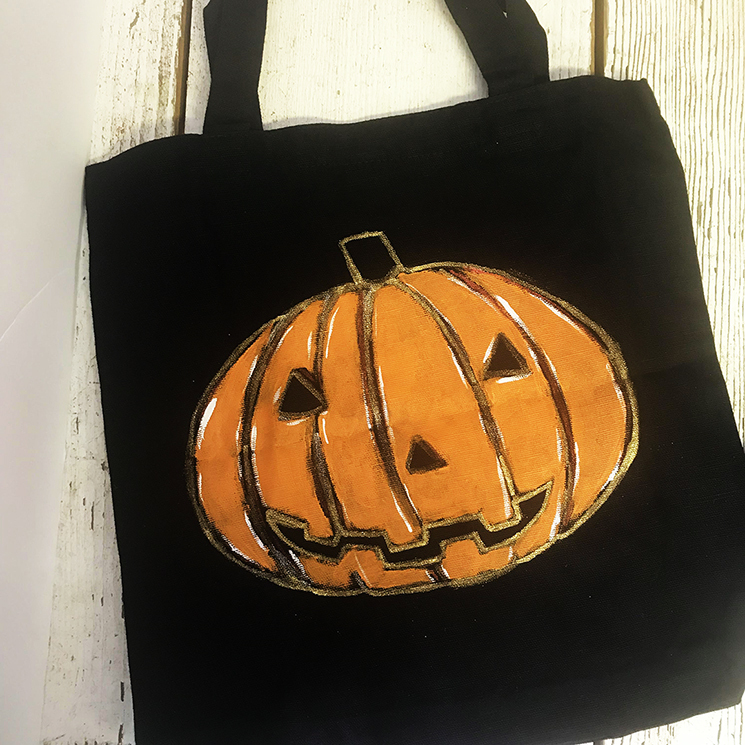 DIY - Cute Trick or Treat Bags! 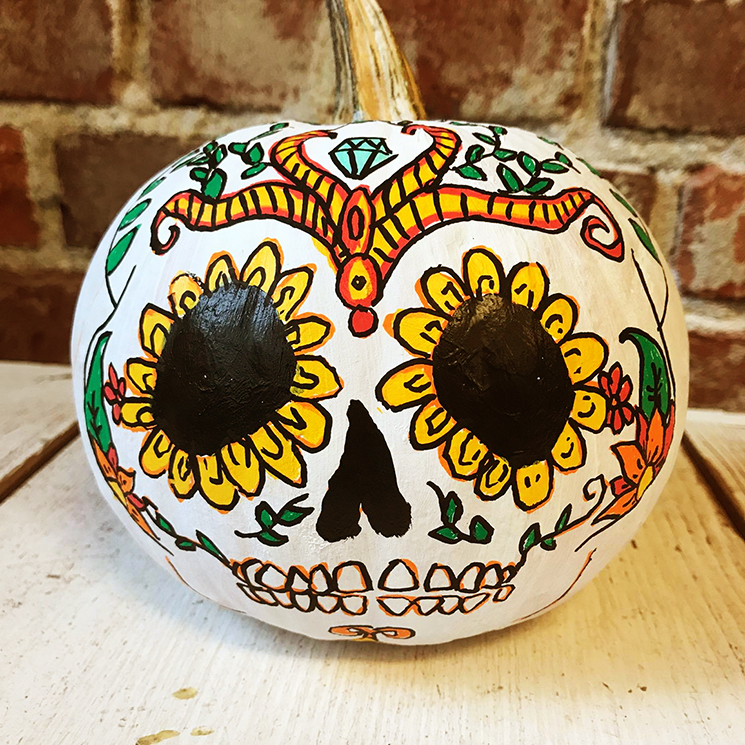 The time is almost here to send our little ghosts, goblins and ghouls out on the street to collect treats! 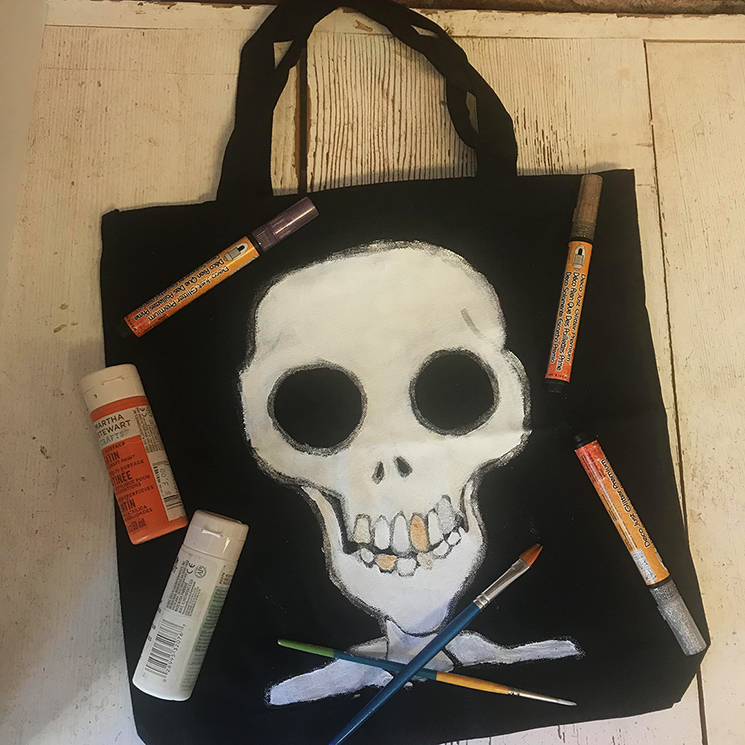 These black canvas bags are super easy to decorate and can be used over and over for years to come. 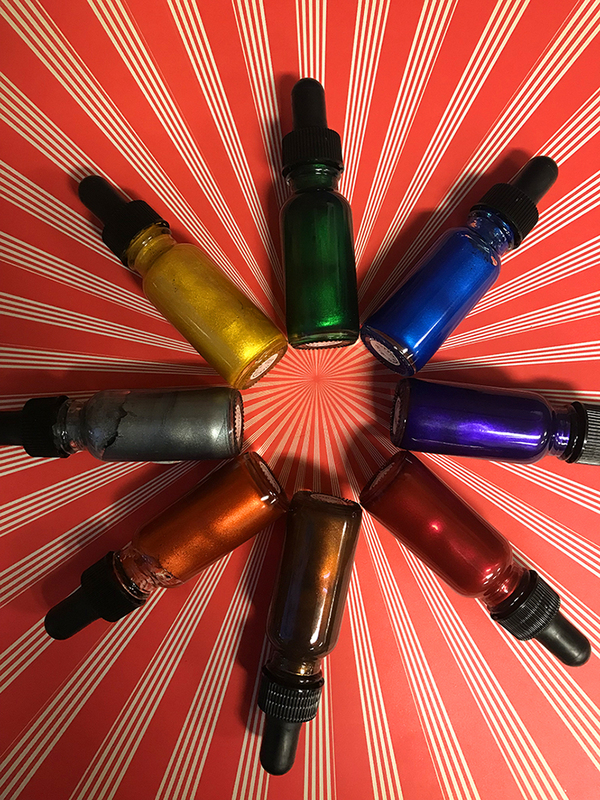 Begin by charging the glitter paint pens by pressing down on the tip to feed the glitter paint into the tip. You are then ready to start drawing out your image with the glitter paint pens! 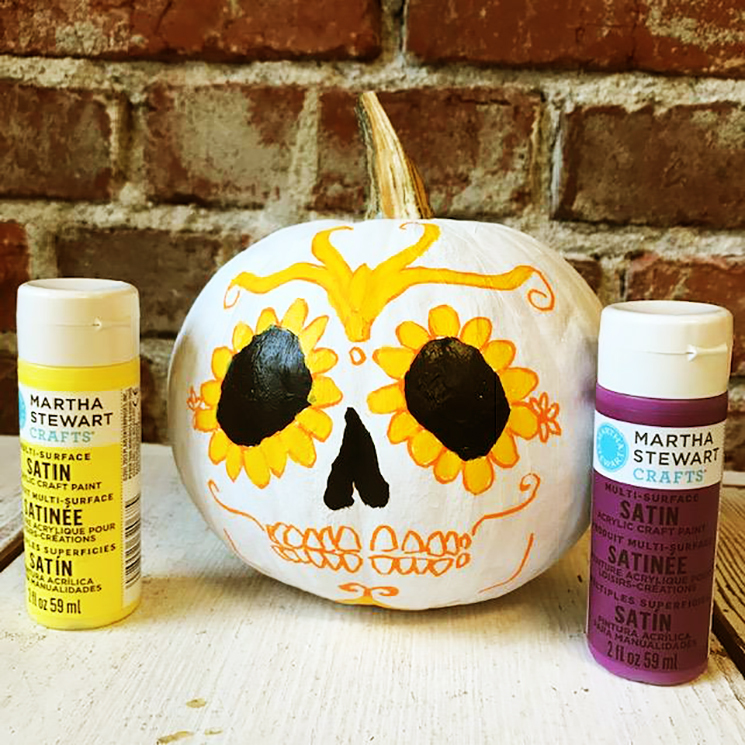 Paint the general outline in with the Martha Stewart acrylic paint. 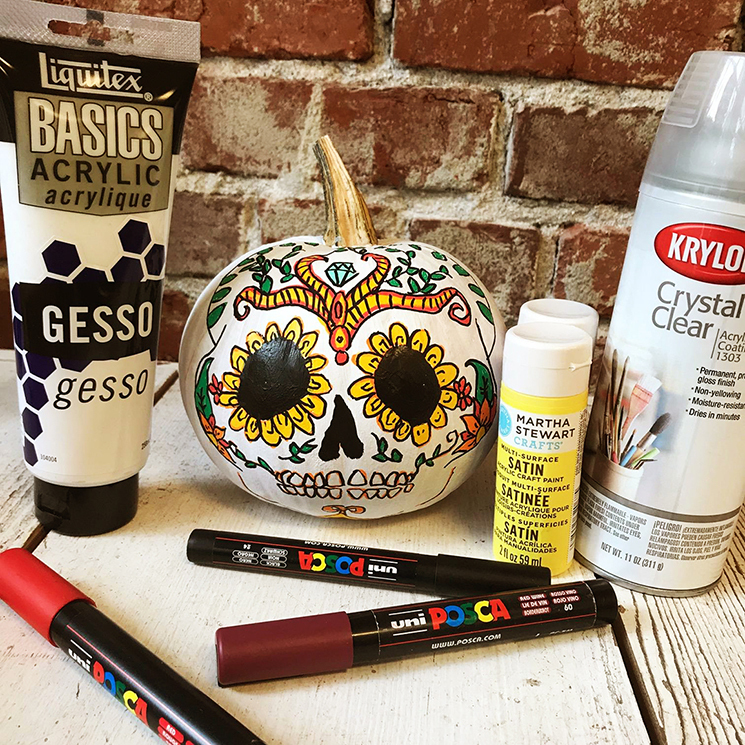 Use 2-3 coats to make the color very opaque! After drying for 24 hours, this will be able to wash/dry on the delicate cycle. 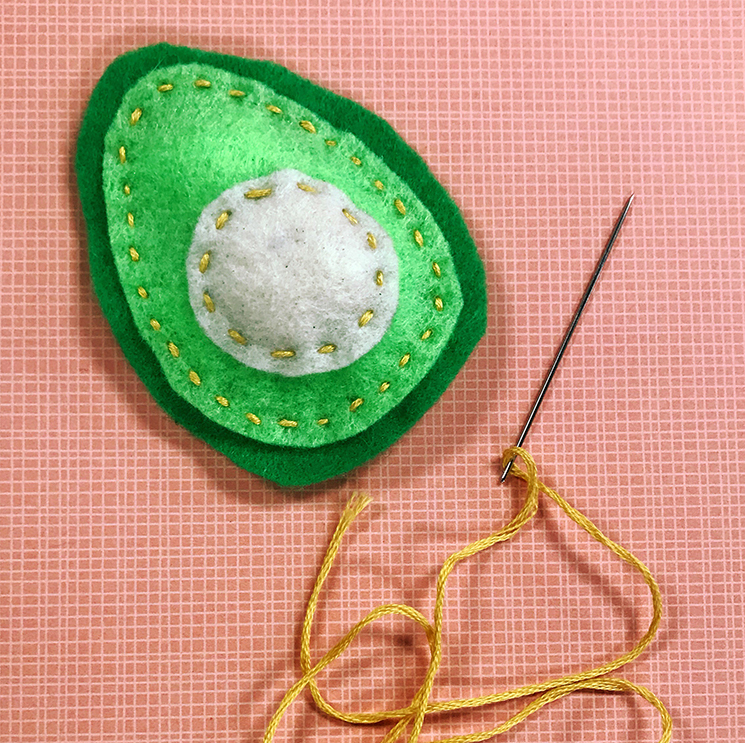 These felt avocados are so easy to make and can be stuffed to make into a plushie. Click on the jump below to learn how to make these sweet avocados. 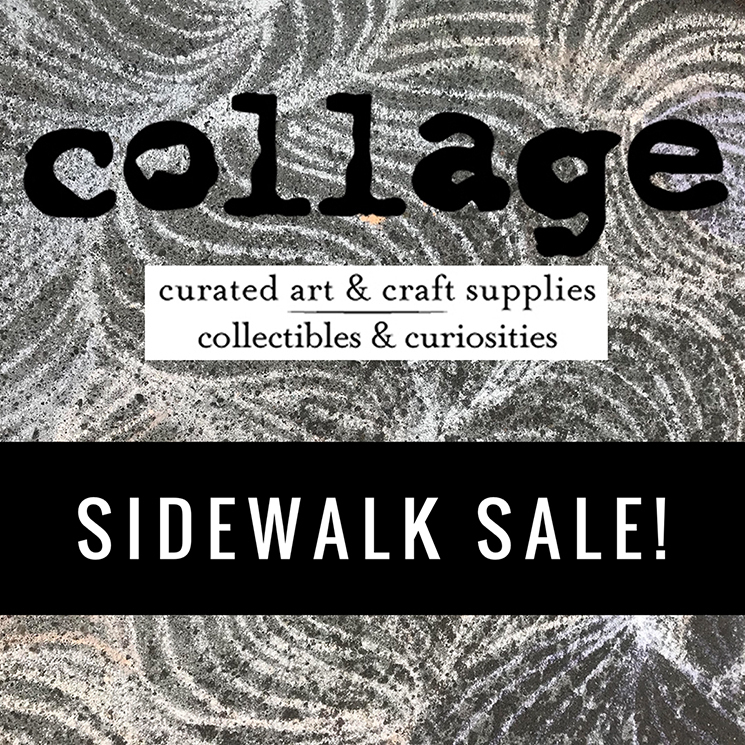 This weekend, September 15 and 16, collage will be having a SUPER SIDEWALK SALE at all of our locations, including the annex and the outlet. Here's a sneak peek at some items we'll have on sale! 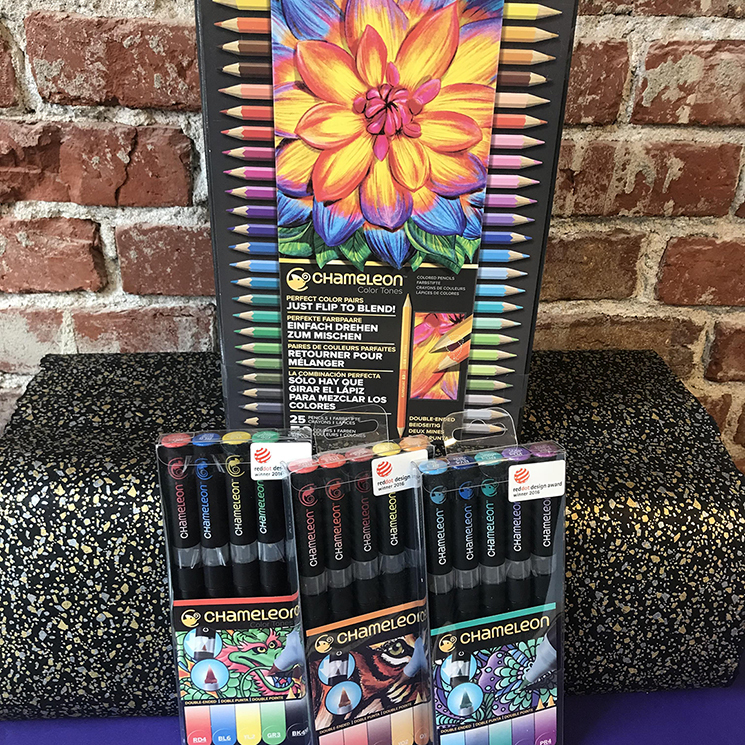 Chameleon markers, marker sets, and colored pencil sets will be on sale! 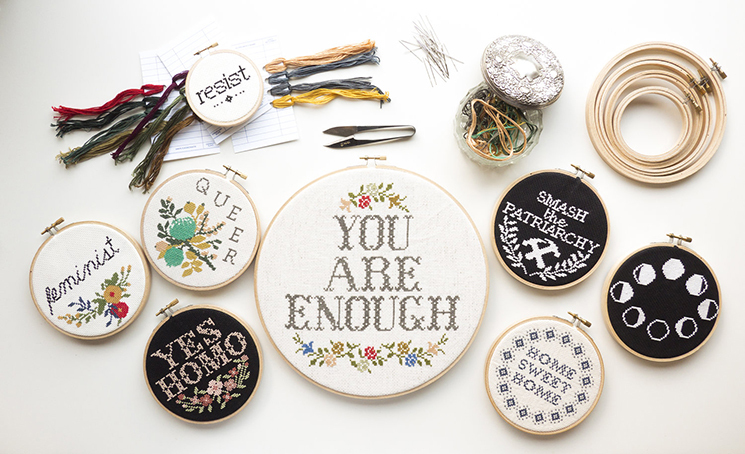 Select cross stitch kits will be on sale, that include everything you need to complete a project from start to finish. 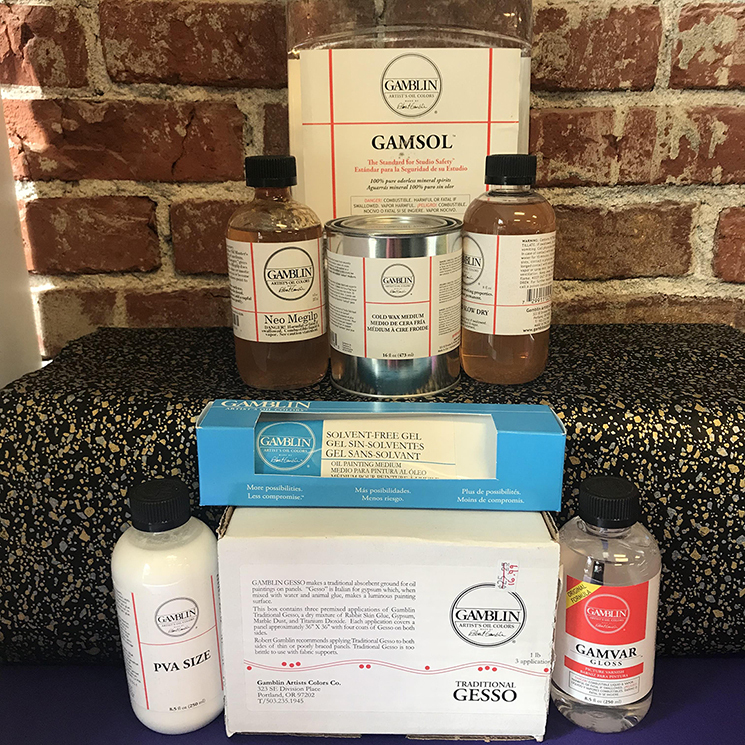 Select Gamblin oil paint medium and varnishes will be discounted. Click on the jump below for more sneak peeks! 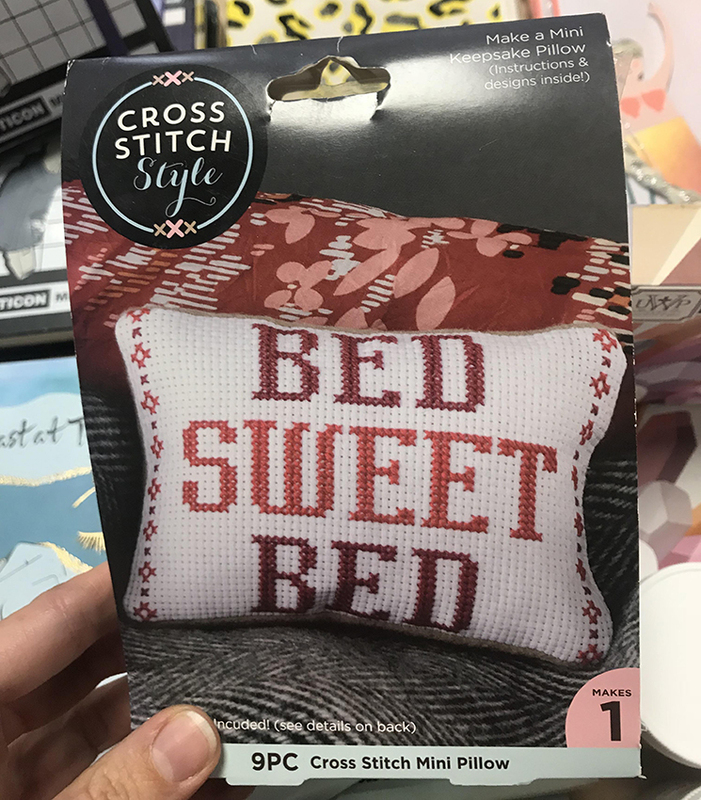 We are so excited to continue to carry cross stitch kits by Junebug and Darlin. 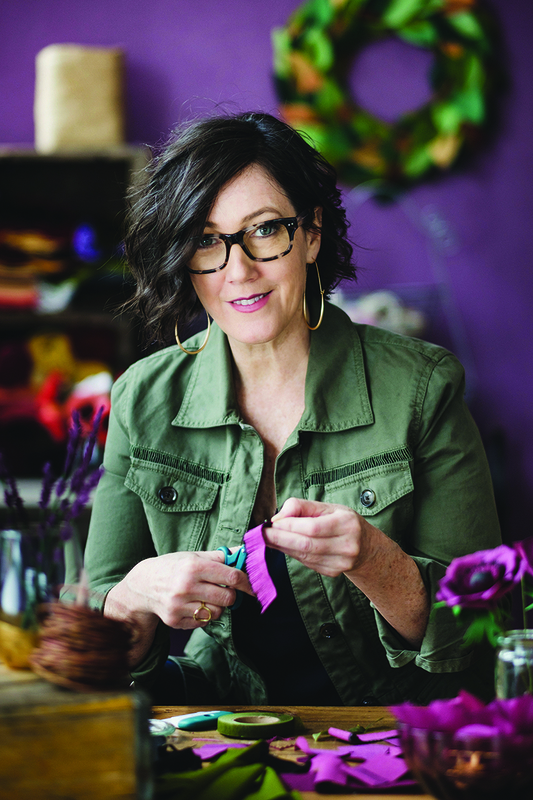 These kits are created solely by Portland-based artist and graphic designer, Zoe Frost. 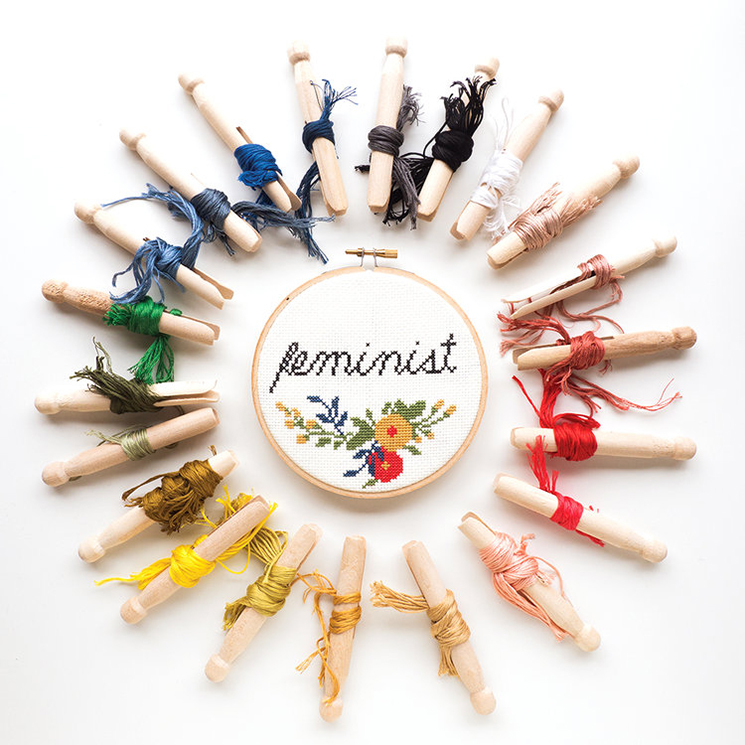 We love that her kits combine a timeless craft with a political agenda. 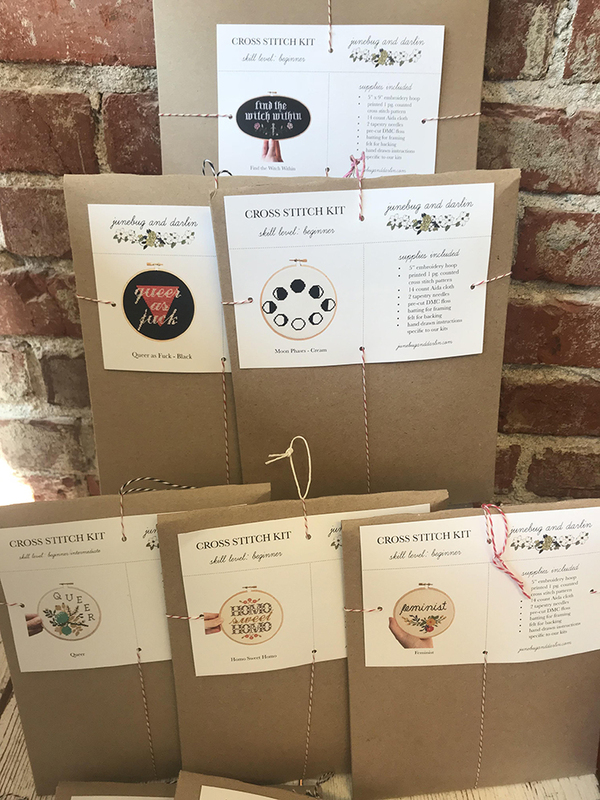 Each of the kits are 100% handmade and include everything that you need to create a beautiful finished cross stitch that is ready to hang in your home or gift. 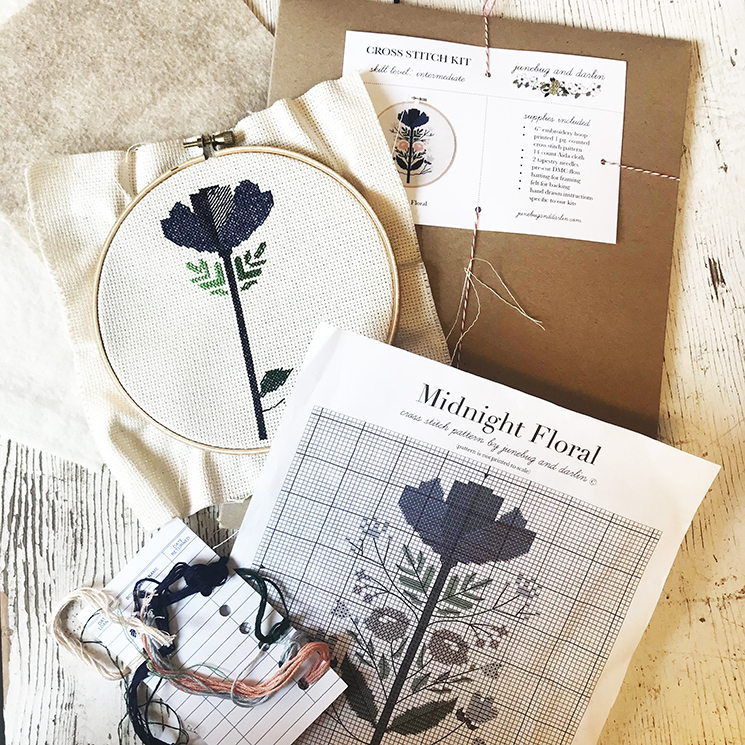 Included in each kit are: an embroidery hoop, a printed cross stitch pattern, cross stitch cloth, tapestry needles, pre-cut floss, batting for framing, felt for backing, and hand drawn instructions. A cross stitch in progress. Finished products! Image courtesy of junebuganddarlin.com. A few of the kits we carry at our supply stores. 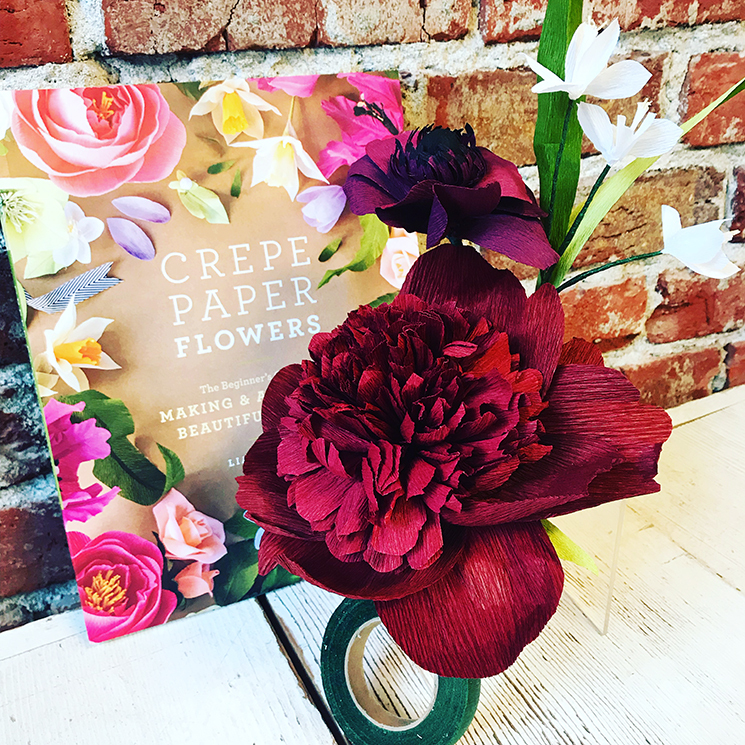 Handmade and beautiful! Image courtesy of junebuganddarlin.com.